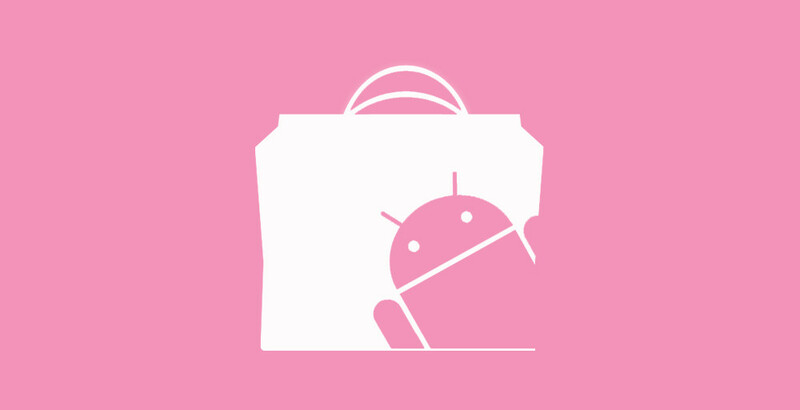 Another month down, another list of the best Android apps available is ready. For the month of July, you can tell that we reconnected with an obsession over wallpaper apps, since three made it onto the list. Outside of eye candy, we also found an amazing app that lets you toggle system settings through Google Now without root, checked out the new NPR One app, and watched as Google brought Material Design to one of our most used apps, Chrome Beta. Below are the top 5 Android app for July 2014. SpinIt Live Wallpaper is easily one of my favorites of the last couple of years. This live ‘paper includes beautiful 3D imagery, amazing parallax and motion effects, and is buttery smooth thanks to the Unity engine powering it. There are currently six colorful themes to choose from, but the developer has told us to expect more in the near future. If you want an interactive live wallpaper, one that doesn’t seem to have impacted battery life after a day’s worth of testing, and could be something to blow the minds of your friends, give this a look. There are pro and free versions, with the pro offering up multiple themes and additional features. If there is one feature type that we wish Google would implement into Google Now, it would without a doubt be voice actions that can toggle system settings. Think of how convenient it would be to tell Google Now/Search to turn off WiFi, raise/lower phone volume, or even read unread Gmail messages. While we wait for Google to get on that, Commandr is already doing it, without root. With Commandr installed you tell Google to toggle system settings, change tracks, turn your flashlight on, and more. The app is free, so head over to Google Play, read all of its uses, and then install it. See? Another live wallpaper! Fracta comes to us courtesy of the folks behind one of our favorite wallpapers of all time, Light Grid. Fracta is unique in that it takes on one of the wallpaper community’s hot trends in polygons and triangles. You can randomize a color palette, watch as lighting reflects throughout as you flip between home screens, or use your own photos as a source for colors. There are pro and free versions, with the pro offering more pre-set themes to choose from. 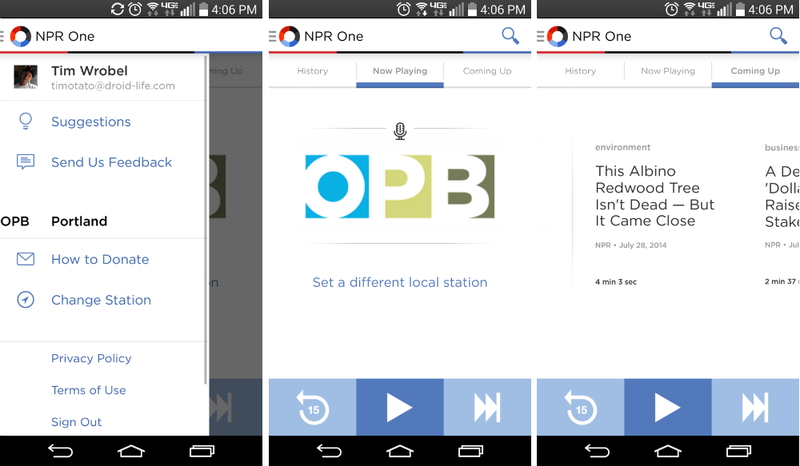 NPR One brings you a personalized stream of public radio. The app starts with the latest headlines and top stories, but then lets you personalize it, pause/skip/rewind/share, search for favorite shows, and even find local news seamlessly woven in. If you love NPR (or even if you don’t), this might be the best way to get tidbits of daily hot news items without having to do much work. Simply pop in some headphones, hit play, and be informed. The app is free, of course. Our third wallpaper app on the list! 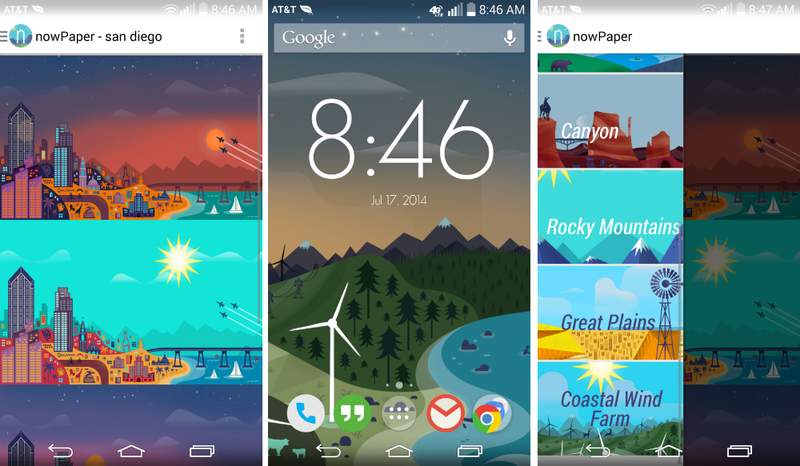 NowPaper takes inspiration from the backgrounds shown in Google Now that display depending on location, but then turns them into full-blown HD wallpapers that can be set on your home screen. The app currently features only a handful of cities and locations (Rocky Mountains, San Diego, San Francisco, Great Plains, etc. ), but the developer plans to continue adding more. For each location, you also have options to show locations in night or day modes, plus it has support for Muzei live wallpaper. If you like the look of Google Now backgrounds, you will love this app. The app runs $0.99 and is worth every penny. Journey: Journey is a brand new journaling app that uses parts of Google’s new Material Design guidelines. In other words, it is gorgeous. This is a fully-featured journaling app though, with Markdown shortcuts, word and character counting, image attaching, and syncing across multiple devices through Google Drive. Chrome Beta: A new update to Chrome Beta introduced its Material Design makeover, while also bringing a simplified sign-in for multiple Google accounts while browsing around the web. ESPN Fantasy Football: The popular ESPN Fantasy Football app received a major UI makeover, plus now has new alerts and live draft action within the app. Nice timing with football season almost upon us. Chromecast App: The Chromecast app received an update that included an option for casting your phone or tablet’s screen to any screen, also known as mirroring. Assuming you have a supported device, you can now show off the happenings of your device on a big TV, monitor, or almost any other screen that has an open HDMI port.